Researchers and academic leaders within the Texan scientific community are showing growing interest in the design and development of the Brain Initiative, a federal project coordinated by the National Institutes of Health that aims to understand and visualize several key dimensions of the working brain. The program will run for twelve years, with a total funding of $4.5 billion. For the first year, 2014, $40 million will be invested into the project. The architecture of the Brain Research Through Advancing Innovative Neurotechnologies, or BRAIN, is based on the Human Genome Project, and seeks to map every neuron’s activity in the human brain. The main goal of the project is to identify and provide experimental access to the different brain cell types to determine their roles in health and disease. Once launched, scientists expect to be able to generate circuit diagrams that vary in resolution from synapses to the whole brain, produce a dynamic picture of the functioning brain by developing and applying improved methods for large-scale monitoring of neural activity, and link brain activity to behavior with precise interventional tools that change neural circuit dynamics. 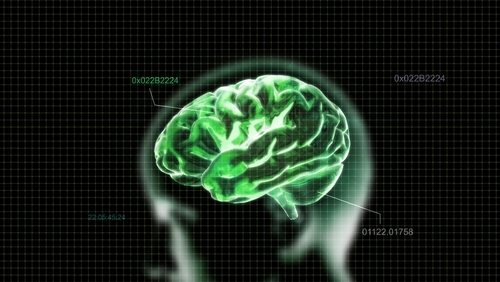 Scientists believe that their research will also produce conceptual foundations for understanding the biological basis of mental processes through the development of new theoretical and data analysis tools, develop innovative technologies to understand the human brain and treat its disorders, create and support integrated brain research networks, and integrate new technological and conceptual approaches to discover how dynamic patterns of neural activity are transformed into cognition, emotion, and perception. According to the school’s president, the research currently being conducted at UT Dallas has a strong collaborative dimension, as several academic fields cooperate and researchers work in partnership, namely between the UT Southwestern Medical Center, UT Arlington, and UT Dallas. “These researchers not only focus on their own quest for knowledge but also pay keen attention to training future generations of neuroscientists. Our undergraduate neuroscience program is still relatively young, first enrolling students in 1996. Enrollment has more than tripled in the past eight years,” he added. UT Dallas has already conducted research to further explore the brain’s inner workings. Last year, the National Institutes of Health awarded 14 UT Dallas faculty members with a total of 23 new grants for research into this field. “These federal grants support research that will help our scientists and engineers better understand anxiety disorders, post-traumatic stress, aging of the brain and autism. They support efforts to develop new methods for delivering molecules across the blood-brain barrier,” writes Daniel.